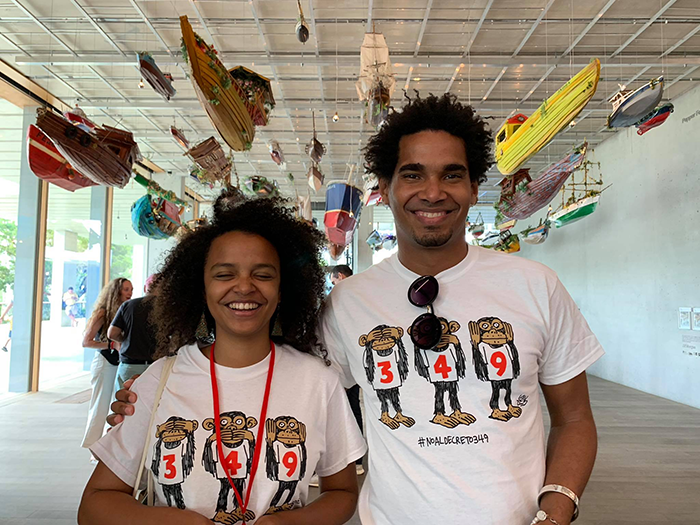 Index joins show of solidarity with Cuba's jailed artists: "Art should not be criminalised"
Update: All arrested artists have now been released, although they remain under police surveillance. 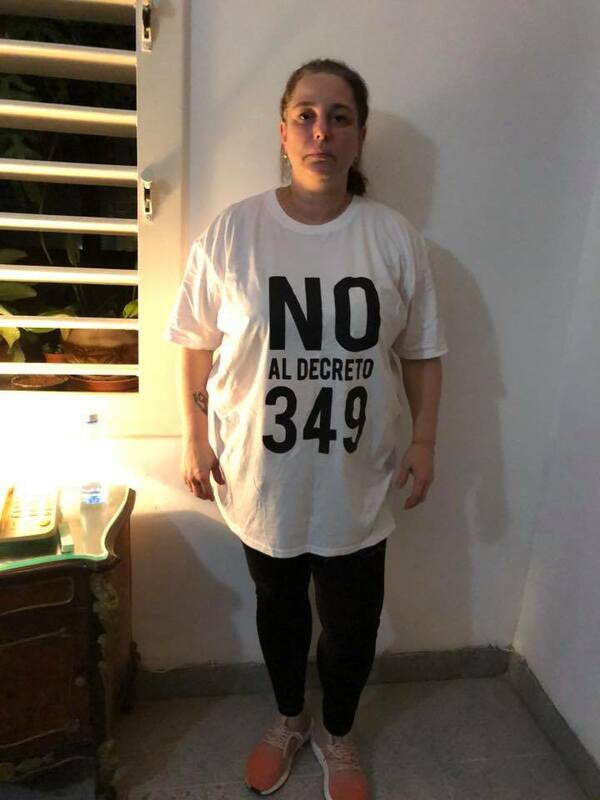 Cuba’s vice minister of culture Fernando Rojas has declared to the Associated Press that changes will be made to Decree 349 but has not opened dialogue with the artists involved in the campaign against the decree. 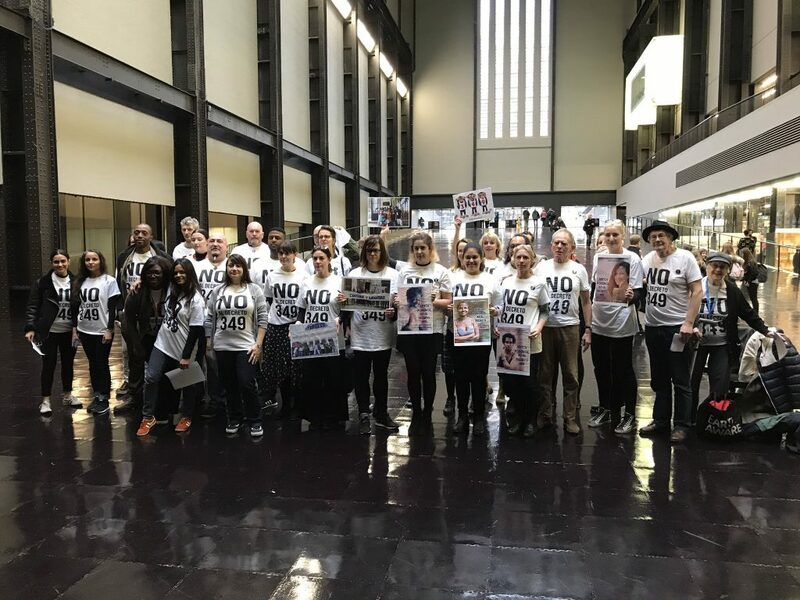 Index on Censorship joined others at the Tate Modern on 5 December in a show of solidarity with those artists arrested in Cuba for peacefully protesting Decree 349, a law that will severely limit artistic freedom in the country. Decree 349 will see all artists — including collectives, musicians and performers — prohibited from operating in public places without prior approval from the Ministry of Culture. In all, 13 artists were arrested over 48 hours. 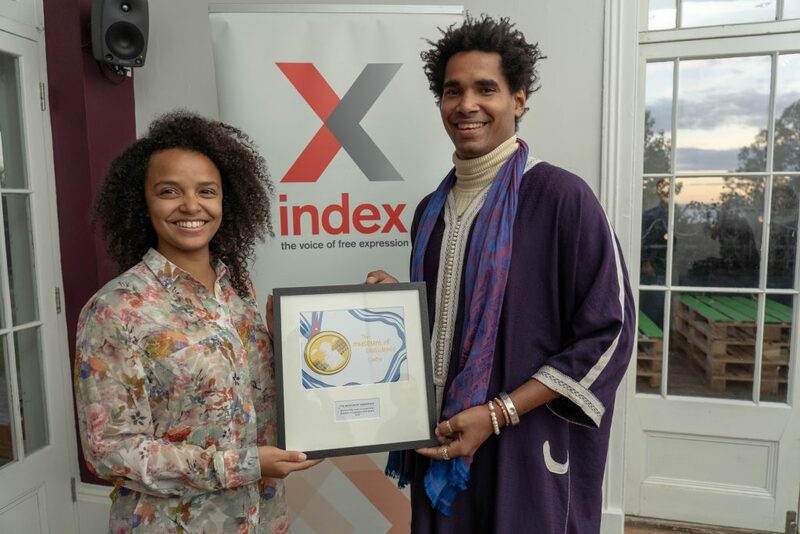 Luis Manuel Otero Alcantara and Yanelys Nuñez Leyva, members of the Index on Censorship Freedom of Expression Award-winning Museum of Dissidence, were arrested in Havana on 3 December. They are being held at Vivac prison on the outskirts of Havana. The Cuban performance artist Tania Bruguera, who was in residency at the Tate Modern in October 2018, was arrested separately, released and re-arrested. Of all those arrested, only Otero Alcantara, Nuñez Leyva and Bruguera remain in custody. 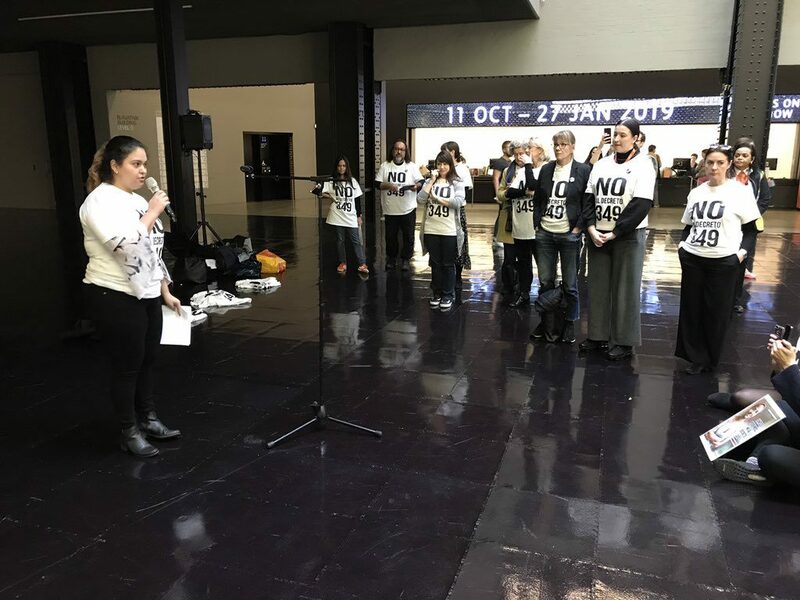 Index on Censorship’s Perla Hinojosa speaking at the Tate Modern. Other speakers included Achim Borchardt-Hume, director of exhibitions at Tate, Jota Castro, a Dublin-based Franco-Peruvian artist, Sofia Karim, a Lonon-based architect and niece of the jailed Bangladeshi photojournalist Shahidul Alam, Alistair Hudson, director of Manchester Art Gallery and The Whitworth, and Colette Bailey, Artistic director and chief executive of Metal, the Southend-on-Sea-based arts charity.